Edwin Catmull, the 73-year-old computer scientist who co-founded Pixar in 1986 and continued to serve as the animation studio’s President as well as becoming President of Walt Disney Animation following their acquisition of Pixar in 2006, announced on Tuesday, October 23 his retirement. According to the Hollywood Reporter, Catmull will step down from his current roles at the end of the year and will stay on as an adviser until July 2019. “Never in my wildest imagination could I have conceived of the path or the extraordinary people I have worked with over all of these years — the twists and turns, the ups and downs, along with exhilarating passion, talent, and dedication that have led to something extraordinary, something that has an enduring impact in the world,” Catmull said in a statement. While dreaming of one day becoming an animator at a young age, Catmull realized his talents lay elsewhere and discovered computer science while attending the University of Utah, going on to earn a Ph.D in the field. In 1972, Catmull created an animated version of his left hand. It would go on to be featured in the 1976 film Futureworld and is recognized as the first use of 3D computer graphics in a motion picture. This would serve as the first step in achieving the goal of creating the first full length computer animated film. Following a stint heading the new Computer Graphics Lab at New York Institute of Technology, Catmull’s efforts were recognized by George Lucas and was hired to head the computer graphics division of Lucasfilm and Industrial Light & Magic in 1979. 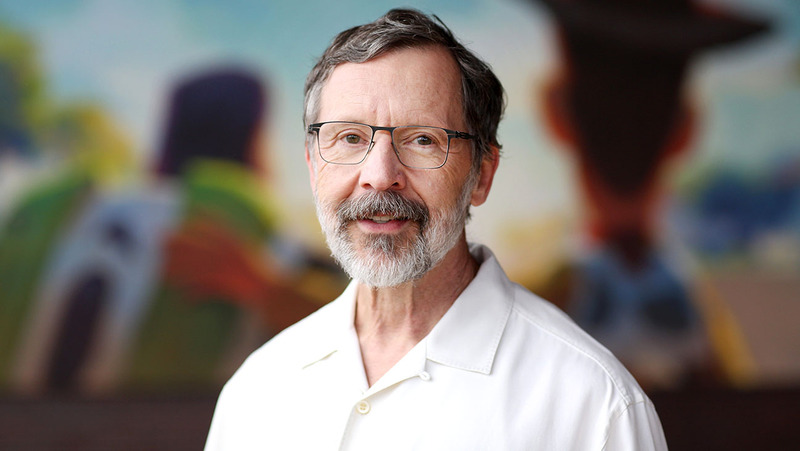 Catmull and his team would be instrumental in the development of digital image compositing to be applied to motion picture films. Among their most well-known efforts include the Genesis Effect in Star Trek II: The Wrath of Khan and the Stained Glass Knight in Young Sherlock Holmes, the first use of a fully computer-generated animated character in a film. Catmull, along with Alvy Ray Smith, got Lucas’ blessing to spin the group off as an independent company called Pixar in 1986 with Catmull serving as President. The company initially concentrated on developing hardware and software that would eventually get them to the goal of creating a feature length computer animated movie. This dream would finally be realized when, partnered with Disney, Pixar released Toy Story in 1995 to historic critical acclaim and commercial success. In 2006, the Walt Disney Company would acquire Pixar for approximately $7.4 billion. As part of the deal, Catmull would become President of both Pixar and Walt Disney Animation Studios. Under his leadership, both studios would rise to meteoric success. He would oversee five films each grossing over $1 billion globally including the first animated feature to do so in Toy Story 3, as well as ten films garnering the Academy Award for Best Animated Feature with Up and Toy Story 3 also being nominated for Best Picture in their respective years. Among Catmull’s technical achievements during his career include being credited as the pioneer of the computer graphics method texture mapping in 1974. He was a key architect in the rendering software RenderMan, first developed during the early years of Pixar, which would go on to become an industry standard in digital visual effects. The continued development of RenderMan would garner Catmull four technical achievement Academy Awards between 1993 and 2008. In 2014, Catmull would share the President titles with general managers Jim Morris at Pixar and Andrew Millstein at Walt Disney Animation, initially as an expansion of their roles to handle day-to-day affairs on Catmull’s behalf due to the two studios being in separate locations. Morris and Millstein are expected to continue their respective roles, reporting to Walt Disney Studios President Alan Bergman.